The school year is upon us! Right before the kiddos of Charleston headed back to school this week, the city held its annual First Day Festival. Yesterday’s festival included face-painting, boat riding, and aquarium exploring! Along with these fun activities, students received school supplies donated by the community. Hawkes donated school supplies ranging from notebooks to colored pencils to index cards to brightly colored folders. We had a few volunteers at the festival to welcome kids to a new school year! We wish everyone the best of luck on their new 2016-2017 adventure. One of our donation boxes was expertly decorated with Lisa Frank images and photos of other ’90s supplies. The Ravenel Bridge stretches underneath puffy clouds. Florie and Venessa paused for a pic! The festival had plenty of bags for all the kiddos. Florie makes volunteering look cool in her sunglasses. Blood donations are circulating in the Lowcountry! If you’re able to donate blood, please consider doing so soon! 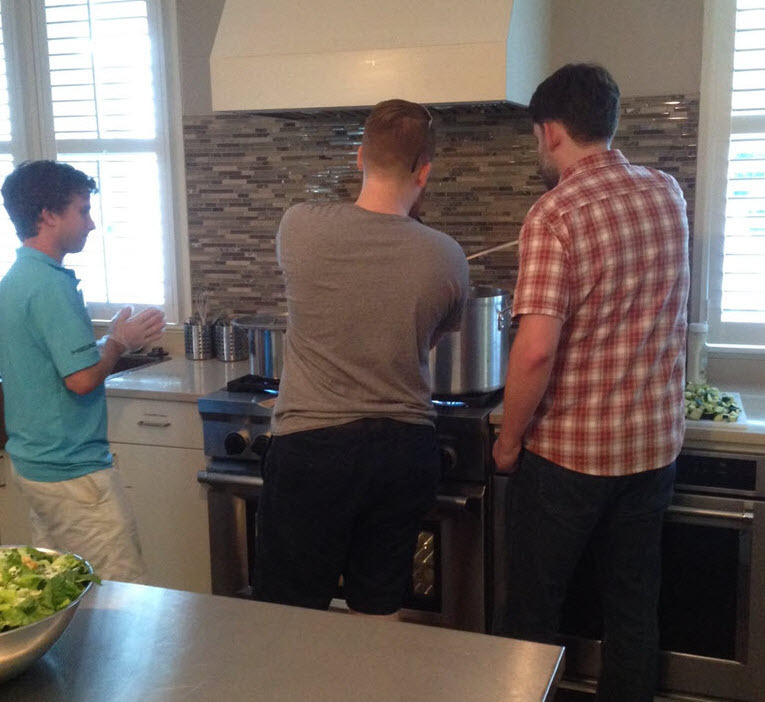 Last month, volunteers from Hawkes spent their Sunday morning at Charleston’s Ronald McDonald House cooking breakfast for the families staying there. Pancakes, bacon, sausages, fruit, and more were cooked and served up on a beautiful May day. Last weekend, Hawkes volunteers teamed up with Habitat for Humanity to help build a local house. The building was in the beginning stages, so volunteers helped with adding some support to the start of the future home’s floor on the foundation. Soon a house will be here! Venessa and Laura pause to smile before hammering some nails. When it comes to volunteering with big smiles on their faces, this group nails it! Those ominous-looking clouds can’t keep Jeff away from finishing up the job. This past weekend, we volunteered at Windwood Farm Home for Children, which provides kids with a variety of residential and community-based programs that work with families to ensure safety through supportive interventions. It was a beautiful day for volunteering! Hawkes donated plants and soil for the landscaping project in front of the main building. Thankfully Marcel knows how to use a power washer, so we worked with volunteers from local businesses and high schools to clean the fences near the horses. Take a look at a few pictures from Saturday! Marcel power washes a fence and shows it who’s boss. Kate and a local highschooler make sure the fence is sparkling clean. No need to get de-fence-ive! We had a great time working with fellow local volunteers. The horses enjoyed the beautiful day too! The sun was shining plentifully on Saturday. To learn more about this great nonprofit, check out their website: http://windwoodfarm.org/. Volunteering at the Ronald McDonald House: I’m Lovin’ It! 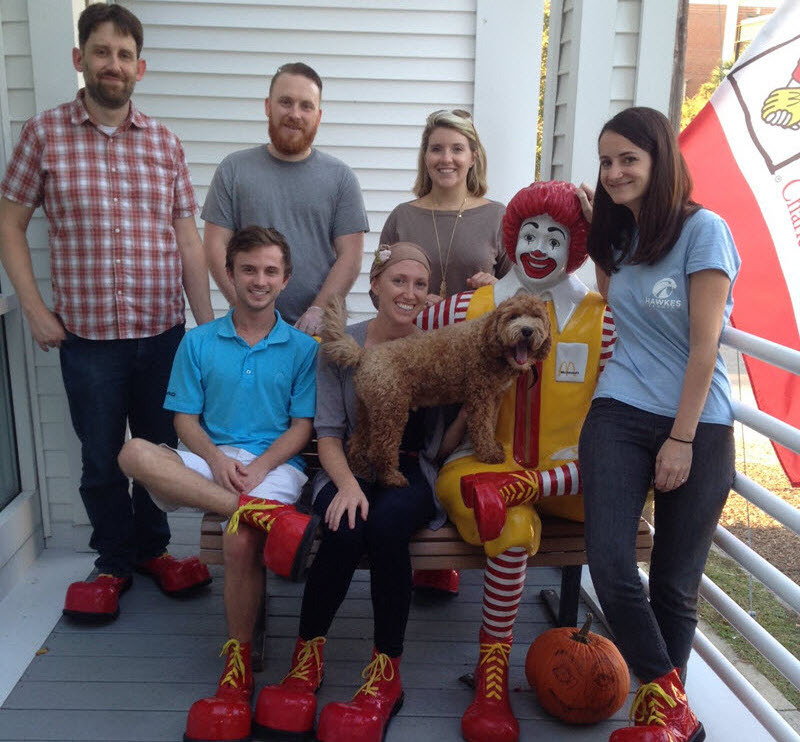 Last Friday, a group of Hawkes colleagues came together to volunteer at Charleston’s Ronald McDonald House. 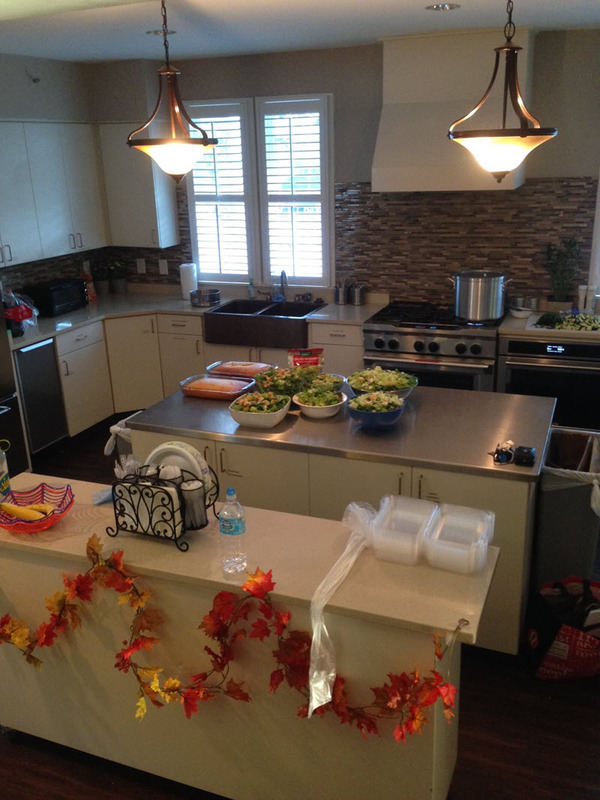 They prepared a meal of cornbread, salad, tortilla soup, and brownies for 60 family members. While there, they received a fun and informative tour of the facilities from the staff. One volunteer, Tim, said the tour was especially memorable because they saw all the hard work the House has put into recent renovations to make it a comfortable space for the families staying there. 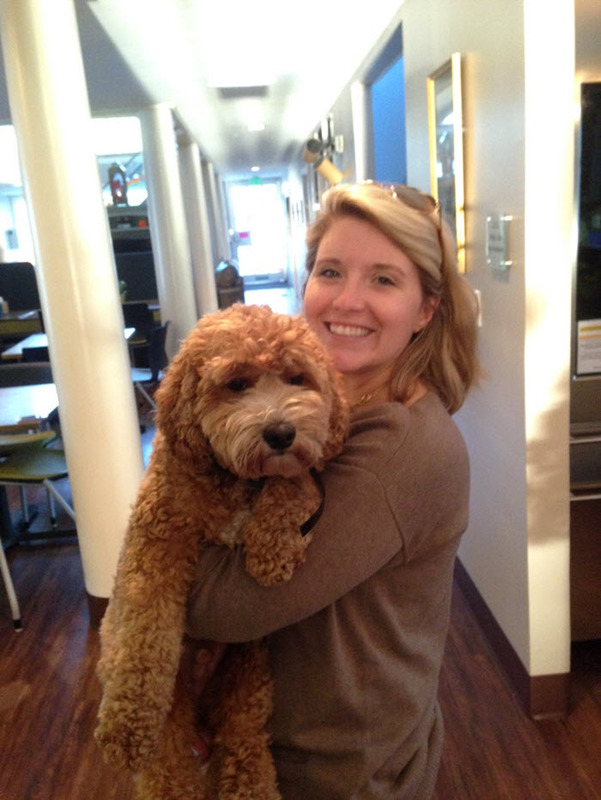 The volunteers even had a chance to meet Gardy, the beloved dog who lives at the House and lends emotional support, tail wags, and lots of love to those who stay at the Ronald McDonald House. Steven and the crew enjoy cooking, so this was the perfect opportunity to combine their love of working in a kitchen with their passion for helping others. Doug recalled that while they prepared the tortilla soup, Tim started cutting several onions at once. Suddenly, all the volunteers in the kitchen started crying. We promise they weren’t crying because of Tim’s cooking skills! The meal came out delicious. We’d like to thank the Ronald McDonald House for the wonderful opportunity of volunteering there, and we hope to come back soon.